I have said it before, and I will say it again. You have a choice before you as a Christian: evangelize or fossilize. I fear there are many believers who know God’s Word, yet they pretty much think that everyone revolves around them. It is all about them being blessed, all about them growing, and all about them learning. Obviously there is a place for that. But it is also about our taking these newfound truths and sharing them with others. The truth God has given you is not designed to be hoarded; it is designed to be shared. You have been blessed to be a blessing to others. And if you only take in and don’t give out, you are running the risk of entering into a place of spiritual stagnation. We have a new baby in our family, the daughter of our son Jonathan and his wife Brittni. I am just amazed at the things she does. She claps her little hands, and when she sees me, she starts jabbering. It is so fun hanging around with a baby. It is fascinating to me how much babies learn every single day. It is also exciting to watch my older grandchildren grow and mature. I like to hang around kids. You see things differently when you are around a little one, things that you maybe would take for granted otherwise. That is how it is with a new believer. You are sharing things that, quite frankly, you are starting to take for granted. And as they are discovering them for the first time, you rediscover them again. We all have a part to play. You may think, Well, I just don’t know all that much. But you know more than a brand-new believer. And God can do a lot with a little. Summary sentence: Do you only take in and don’t give out? Are you in a place of spiritual stagnation? 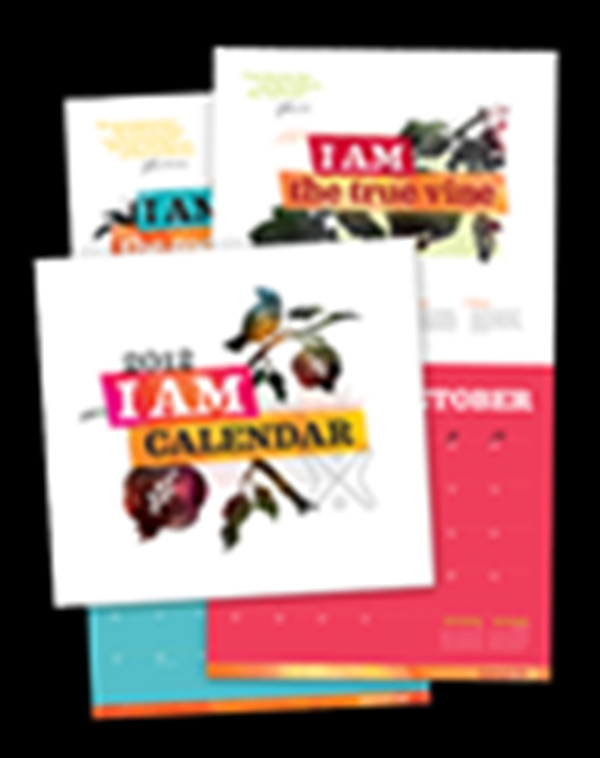 Each month of our 2012 calendar features an ‘I AM’ statement of Christ and then, right alongside the specific verse, we offer a little commentary on what that statement means. There is also a suggested prayer included that you might pray to deepen your appreciation and application of that ‘I AM’ verse in your own life.